All of the rise and recline chair manufacturers that we choose to deal with offer either totally bespoke hand built chairs or pre-made off the shelf items. 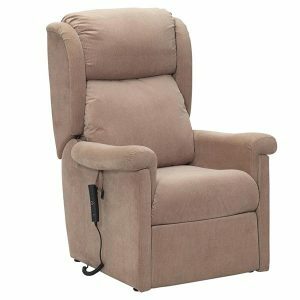 The difference is that a rise and recline chair ideally should be made to measure for the person that will be using it so that they get the most amount of benefit from its design. They use medical grade foam to prevent sores and have medical grade fabrics to reduce or prevent shear friction. The chair itself is measured so that it will lift and lower the user correctly. A chair that is either too high or too small will have an impact on how the user transfers to and from the chair. In some cases the wrong chair can make them unstable and can be more of an obstacle rather than a benefit. 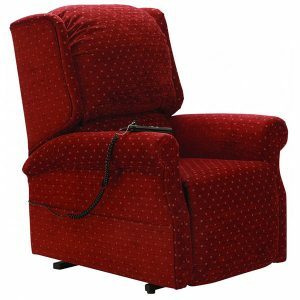 A Rise and Recliner chair is only as good as the operating mechanism it's built around. Like everything else, there are good and bad examples of these and as the saying goes, 'you get what you pay for'. The chairs on the market at the cheaper end of the scale will undoubtedly use lower grade foam and fillings and an inferior mechanism. These budget mechanism's will eventually start to creak and sway when extended but as a short term solution they have their place and still do the job they were designed to do. Once wrapped in fancy fabric it's a hard job to see the difference but a keen eye and sense of touch will still detect the lesser quality item. 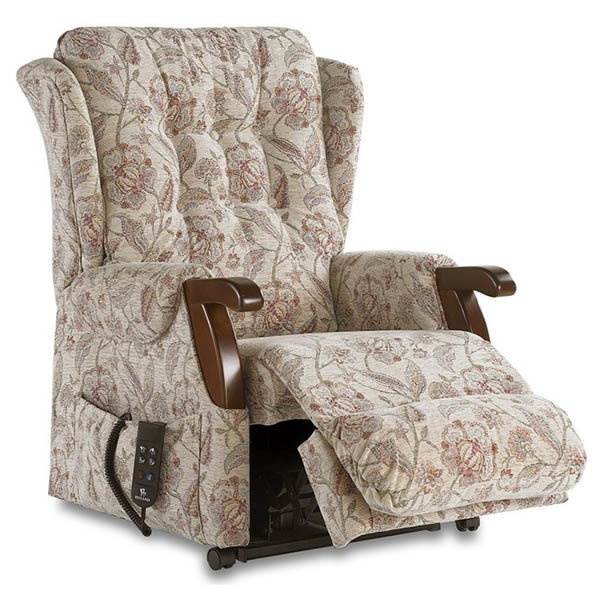 With the quality of a tailor made rise and recline chair comes a price, and depending on available budget, a chair off the shelf that is already pre-made may suddenly be more appealing. These generally come in a choice of 2-3 sizes and a handful of fabric options. They will use standard seating foam and upholstery fabrics but for this you could expect to pay up to half as much or maybe more than for the equivalent bespoke model.